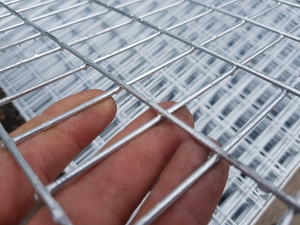 Hot dipped galvanised welded wire mesh panels with rectangular mesh apertures (holes) including 50mm x 25mm (2x1"), 75mm x 25mm (3x1") and 150mm x 75mm (6"x3"). Our galvanised weld mesh sheets are available in 2.44m x 1.22m (8'x4'), 1.8m x 0.91m (6'x3') as standard and in various wire diameters / gauges ranging from 2.5mm, 3mm and 5mm wire. 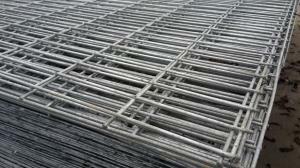 Wire mesh with rectangular holes are used for fencing, dog cages, pet enclosures and aviaries.